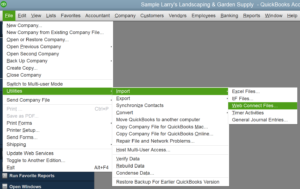 1: Download the .qbo aka web connect for QuickBooks file from your bank. 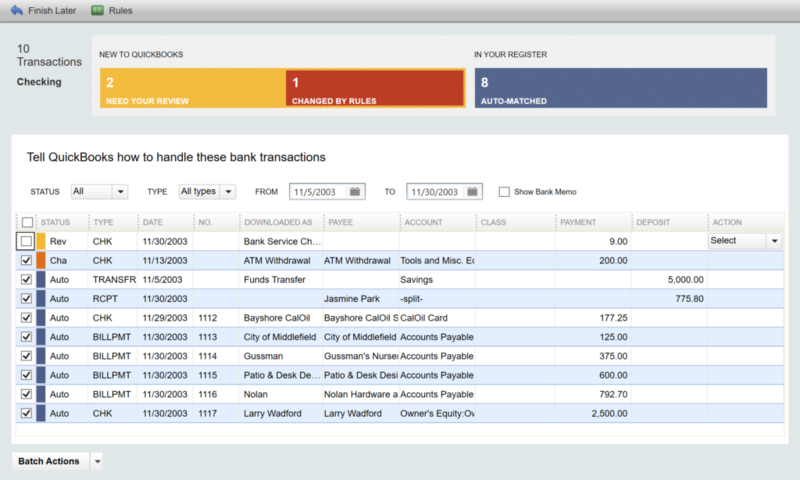 5: Next you’ll need to review, classify and accept the transactions. In order to do this, you need to get to where the transactions are located. Click on banking → bank feeds → bank feeds center. 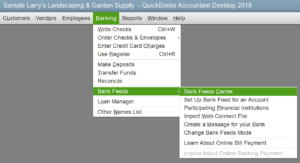 6: The bank feeds center is a place that shows you the bank accounts you’ve connected to QuickBooks either via direct connect (which I do not recommend) or via bank import (what we’re discussing here). 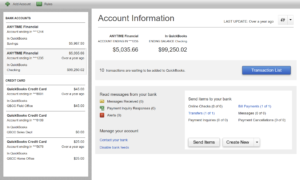 7: In this screen you see there are 10 transactions waiting to be added to QuickBooks for the account called ANYTIME Financial. To review these transactions, click on the blue button labeled Transaction List. 8: The downloaded transactions for the bank account linked to the label ANYTIME Financial are listed below. There are three colors for these transactions. The yellow transactions are transactions where QuickBooks has no suggestions to provide you, the red transactions are those where a rule (if this, then that) has been set up to provide you a suggestion on how to classify the transaction and the blue is where QuickBooks is matching (linking) an existing entry in the register with a downloaded transaction.What you’re seeing is your banking data and it is “in” QuickBooks but it’s not going to appear anywhere on your reports as it’s non-posting until you add it to your register. Think of this as your laundry basket: you’ve taken the clothes out of the dryer but they’re not put away yet… they’re just kinda sitting there waiting for you to do something with them. The same is true for this data. 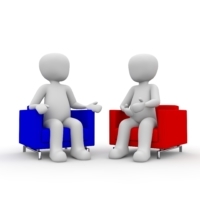 9: For each of these 10 transactions, you want to make sure you have a payee and account. 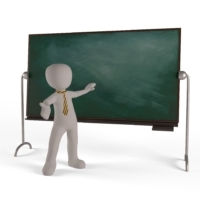 The column for class is optional and the dollar amount cannot be changed.